I’mm a fan of Daniel Start’s work. He’s written some lovely books about finding great spots to swim, and he kindly gave a great talk at the recent Night of Adventure. Here he shares a microadventure idea from his new book. 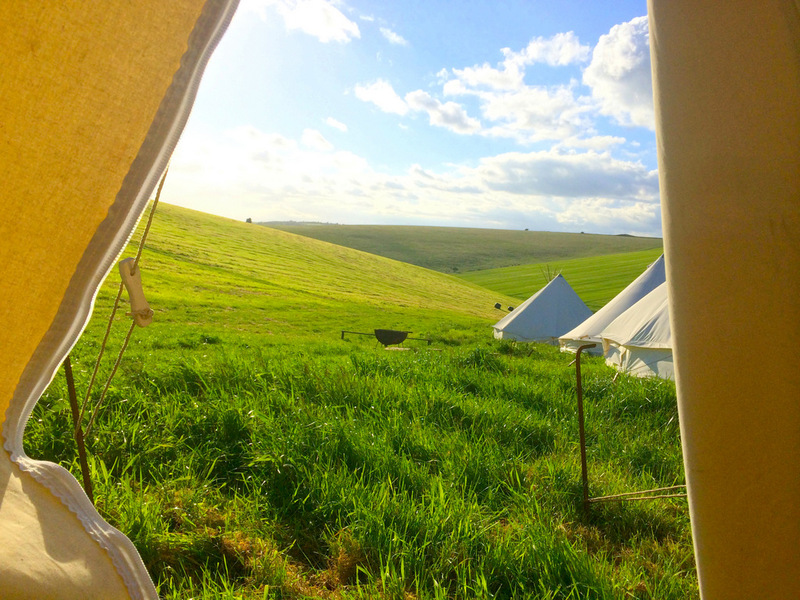 Despite the proximity of Brighton and other coastal towns, the great, green, rolling downs and hillforts of Mid Sussex, alive with salty air and wild swimming, exude a sense of ancient mystery and are perfect for discreet wild camping. New from the publishers of Wild Swimming comes a new Wild Guide – full of wild camping, wild swimming and exploring lost ruins – all close to home. To win one of three competition copies, head here. A profusion of ancient sites and hillforts crown the countryside, overhung with legend and providing sublime spots to escape from the everyday world. Chactonbury Ring is a great choice (as long as you avoid summoning the devil by running backwards round the site in circles), as well as the lesser-known Wolstonbury Hill. Head up the hills as the day draws to a close to bivvy out under the stars. From ancient forts to ancient trees – head into The Mens woodland in search of the centuries-old Idehurst Oak, whose huge fallen branch provides a habitat for insects and newly-grown plants. Three cool rivers run north to south, like prongs of a fork, offering swimming and kayaking galore. You can canoe on the Adur, but to the west the Arun provides the better swimming, both near Arundel Castle and on the meadows of Waltham Brooks at Greatham. To the east, the Ouse was made famous by the Bloomsbury Group, near Virginia Woolf’s house at Rodmell. 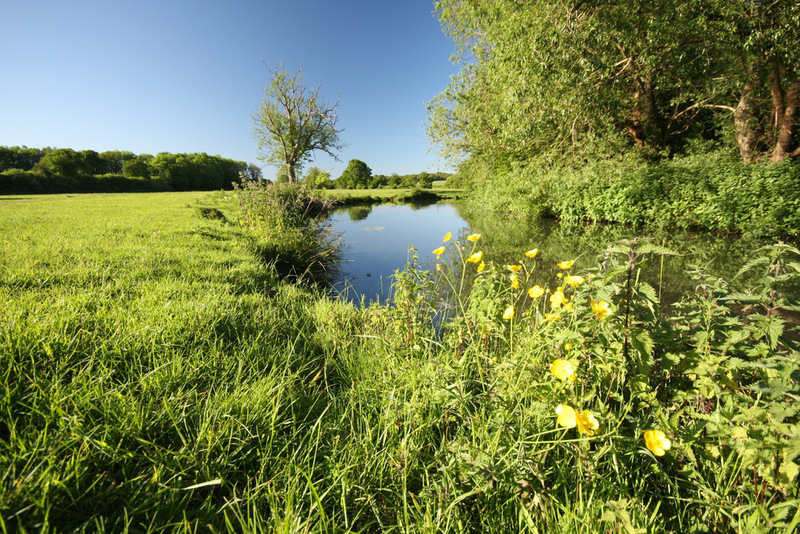 Upstream on the Ouse, the open fields of Barcombe Mills are a perfect place for cricket, leapfrog and other riverside games. The Ouse here is deep, with pretty grassy banks, ideal for cooling down after cartwheels or diving in for a long swim among the rushes. The well-known Anchor Inn is nearby, just a mile upstream, at the bottom of a dead-end lane. You can hire one of its fleet of blue rowing boats or swim for over two miles through remote countryside, the spire of Isfield church the only building in sight for the entire journey. 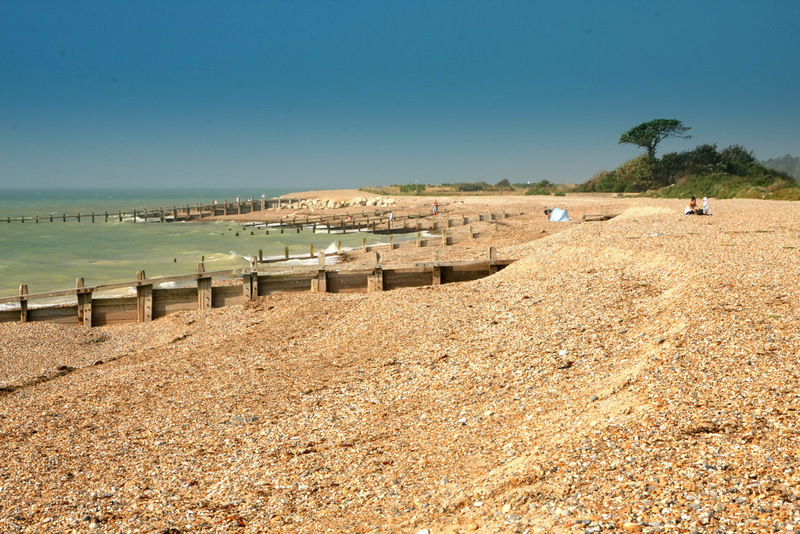 Much of the coastline is dominated by towns and cities, but head west towards Littlehampton for more rural beaches. Climping is at the end of a lane with only a pub and a mobile café in the tiny car park for sustenance. Here, a dedicated group of sea-swimmers gather every morning to dive from the groynes, swim the length of the beach and then huddle together in front of steaming mugs of tea. The fields and woodlands around here are alive with birdsong, while the dunes stretching toward Littlehampton offer a small oasis to those seeking solitude. 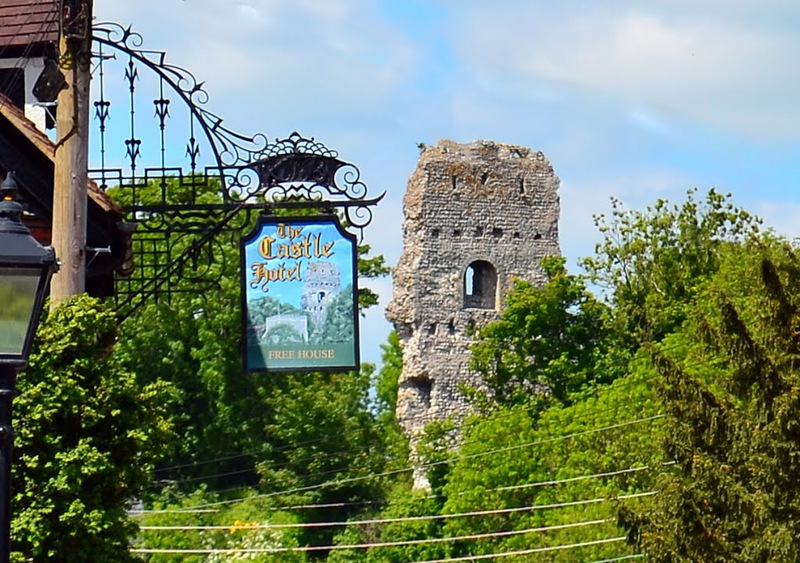 Wake up wild at Castle Rings, the wilder alternative to the popular Devil’s Dyke. 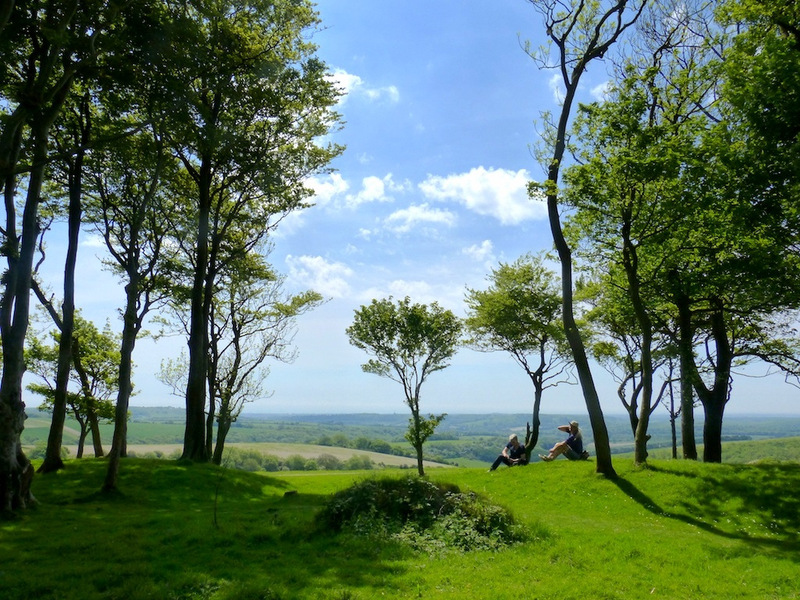 Climb to the top of Cissbury Ring hillfort and gaze out towards the sle of Wight. Explore Mount Caburn’s orchid-rich grassland. 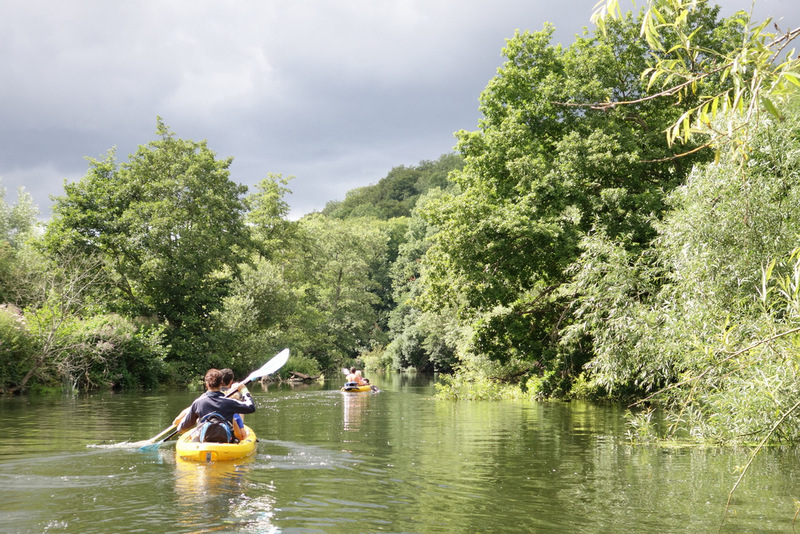 Row your boat upstream from the Anchor Inn to Isfield, swimming and picnicking along the way. Play in the dunes at Littlehampton, just ten minutes from the train station. 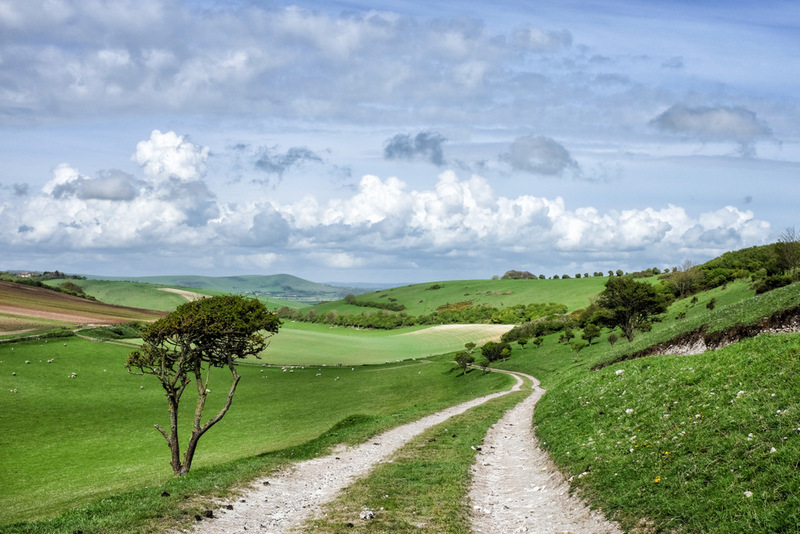 Refuel at the Hiker’s Rest on the South Downs Way with organic cakes and tea. Marvel at the spectacle of the murmurations over Brighton Pier. 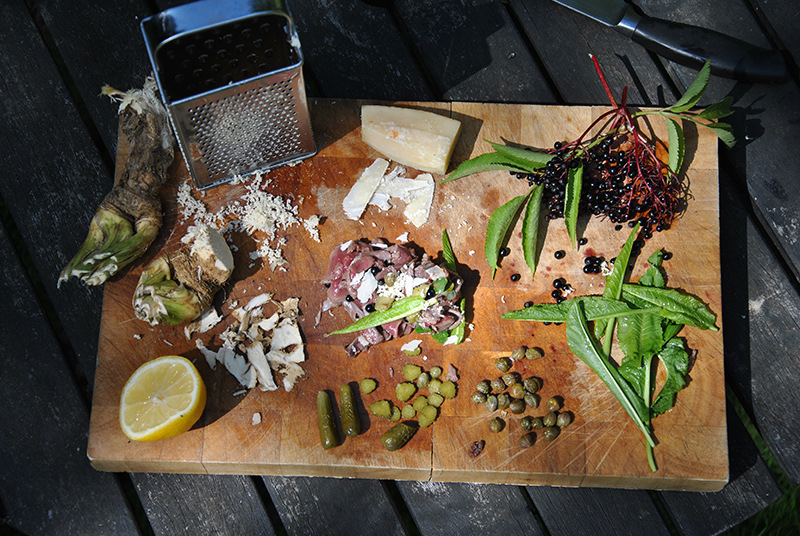 Pitch your tent in The Secret Campsite meadows and forage for your supper. Popular stretch of grassy river bank and meadows. Steep banks and deep water. 2 miles N of Lewes, turn L signposted Barcombe off A26. Find car park on R after a mile, after road to BN8 5BY, and head upstream past sluices to meadow. 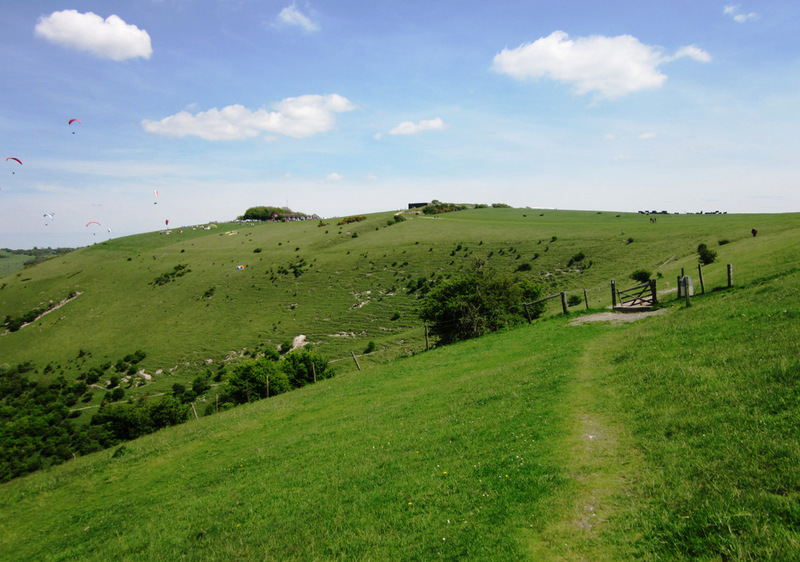 The largest hillfort in Sussex gives views as far as the Isle of Wight on a clear day. Many flint mines. Come here for dusk or dawn, or to fly your kite. Heading S on A24, take L turn signed Nepcote, on very S edge of Findon. Continue ½ mile, around green, to turn R at ‘dead end’ (BN14 0SL) signed Cissbury Ring. Parking is on hilltop (50.8648, -0.3825). Thought to have been settled during the Bronze Age, with ramparts and a wooden palisade added by Iron Age dwellers to protect their settlement. The fort was occupied from 500BC to AD100 and used by Romans, Saxons and Normans as a lookout point. Sit by the remains and watch the paragliders, or see the orchid-rich grassland glowing at sunset. Follow the public footpath starting almost opposite the village shop on Ranscombe Lane in Glynde village (BN8 6ST) for 600m and then bear L towards the summit. 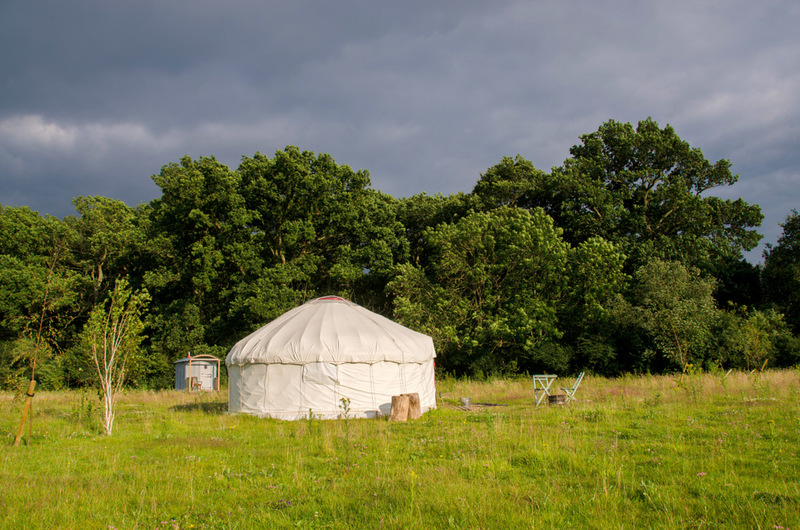 In the heart of a 3,500-acre re-wilding project, on disused farmland, this wildflower meadow has space for ten tents, or hire one of their bell tents. Expect a wealth of wildlife and over 16 miles of permissive footpaths nearby. Children must be 12 or over. 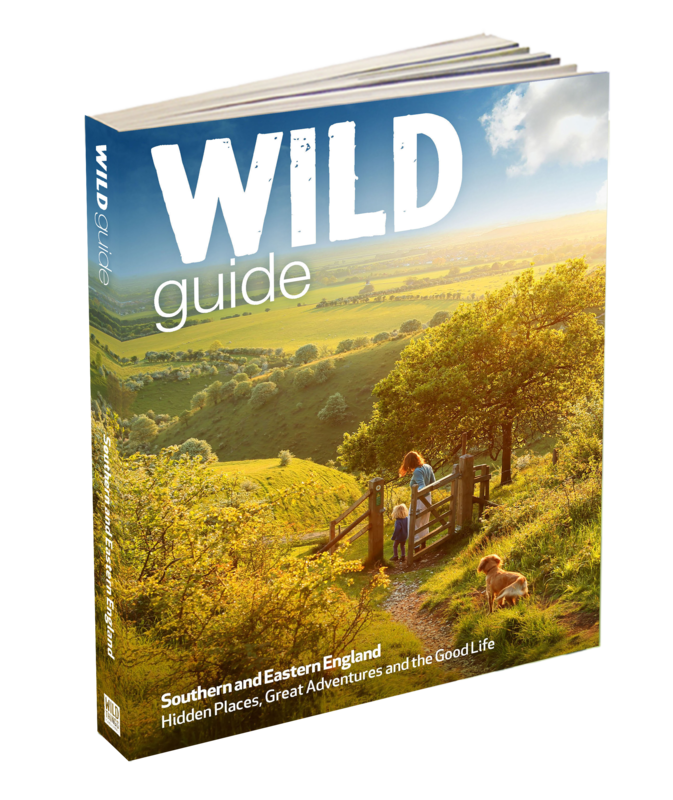 The Wild Guide (£15.99, Wild Things Publishing) features over 1000 wild places to explore, eat and stay in southern and eastern England. A South-West edition is also available. To win one of three copies of the Wild Guide click here. Excellent information. Just in time for my river arun source to sea microadventure this weekend, plenty of spots for a swim! Unfortunately only about 2% of rivers have open access. The massive amount of rubbish left at Barcombe Mills by swimmers on Wednesday will not have helped their (your / our) cause, sadly.